Open from July 7 to August 22, from Tuesday to Saturday. When it's starting to be dark outside, the show is on even if it is raining outside. 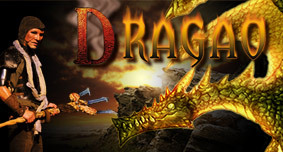 New: DRAGAO, an evening show presented in a revolving outdoor amphitheater that is covered and heated. Written and directed by Bryan Perro with music by Jeannot Bournival. The story tells of a mountain that begins to rumble in the north of the continent because a dragon has just been born there, and the menace is roaring in its cave. We know that heroes only live in fairy tales, but they are very real at La Cité de l’énergie!